Tunbridge Wells U15s for 2019/20 Season. We are looking to recruit proficient, strong, hard working players to add to a talented but small squad. We play in the South Division and train twice a week on a 3G pitch with a UEFA B Licence and FA Level 2 Goalkeeper Coach. We are looking to add 3 or 4 new players, all positions are considered but you must have a good attitude and be able to fit into a friendly squad with a great team spirit. We are holding open trials, matches and tournaments from April through to the end of June. Please email paul@networksav.com or contact Paul on 07711008828 for more details. 2019/20 Holmesdale U16s are looking to add to a strong squad, players in all positions considered, we want committed and hungry players who have a competitive edge to their game. Or phone Paul 07341 849341 and arrange to come training. 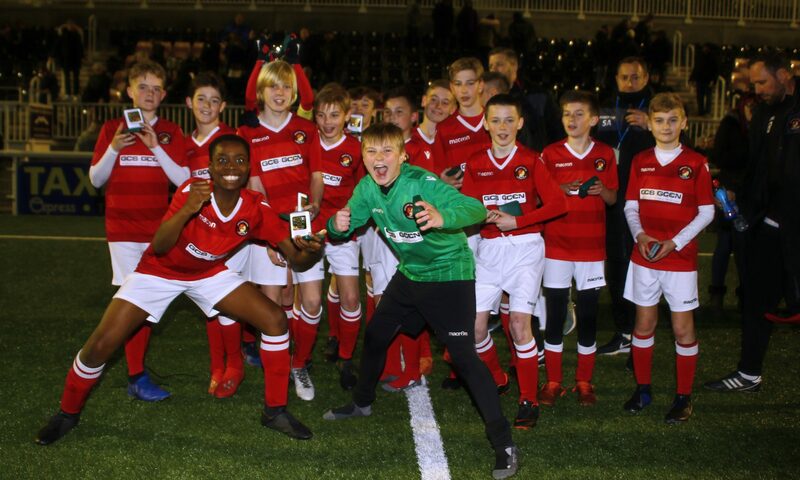 Suitably qualified coach(es) required for Bearsted Under 16s for season 2019/20. Qualified personal trainer who has experience working in academy football. season ensuring the coaching team provide appropriate training. On a bitterly cold day at Foxbury Avenue a depleted Glebe side shaded a close fought encounter with lowly Crockenhill, who looked a far better side than their league position would suggest. This match was played on the rather compact outside pitch which was somewhat uneven but despite that both team’s tried to get the ball down and play attractive football. The visitors had the first chance of the game on 4 minutes when Lawrence Pennington made a good forward run into the box before his shot was defected out for a corner. Minutes later Glebe took the lead when Jonas Whitmore’s right wing cross was superbly volleyed home on the turn by Louis Henry giving Crockenhill keeper Nathan Snelgrove no chance as the ball flew low to his right into the bottom corner of the net. On 10 minutes Glebe’s Oscar Powell made space well on the edge of the box before hitting a low shot that Snelgrove held moving to his left. Crockenhill then drew level shortly afterwards when Harvey Westgarth’s corner from the left was met at the near post by a powerful towering header from Will Gievson that flashed home high to the right of home keeper Ted McDonald. Glebe’s Toby Cogswell then drilled in a long range shot that Snelgrove saved diving low to his right before Crockenhill’s Phil Domaradzki did well to win the ball on the half way line and slide a deft pass through onto the run of Charlie Brett on the right side of the area but his shot from an acute angle flew narrowly wide across the face of goal. Ben James then tried his luck from a direct free kick from the half way line that drifted just wide of the target before Glebe thought they had regained the lead on 27 minutes. Opeyemi Abiru made a superb mazy run into the visitors box evading several challenges before his close range shot was blocked by Snelgrove with the loose ball falling to Powell whose follow up shot beat the Crockenhill keeper to his right but was cleared off the line by Louis Day. A minute later Powell went close again when his right wing cross/shot clipped the bar before flying over. On 33 minutes Glebe would have taken the lead but for a fine double save from Snelgrove. Abiru made another strong run down the left before cutting across the face of the area where he hit a low shot that the Crockenhill keeper saved down to his right with the rebound falling out to Whitmore on the left edge of the area but his fierce follow up shot was blocked by the legs of Snelgrove for a corner. 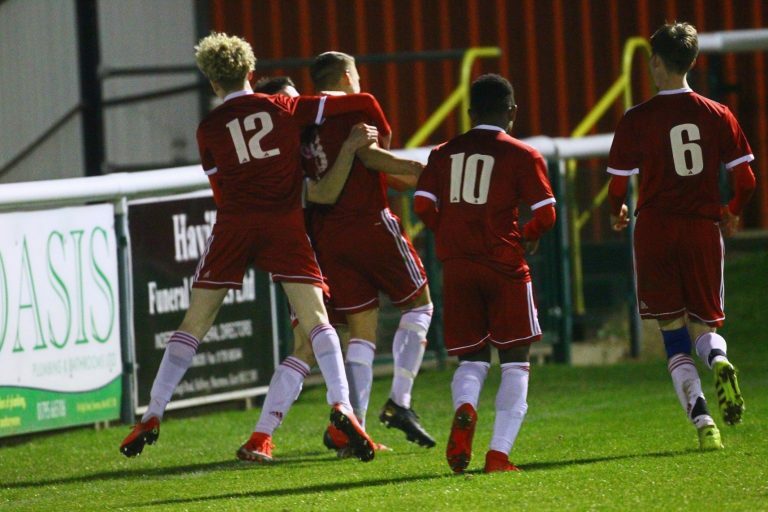 Glebe finally regained the lead in stoppage time at the end of the first half when McDonald’s free kick from inside his own half picked out the run into the box of Powell on the left side of the area and his header back across goal beat a stretching Snelgrove high to his left. The keeper getting a hand to the ball but could not prevent it going into the top corner of the net. Crockenhill started the second half brightly and equalised on 50 minutes when Westgarth’s right wing corner was cleared out to Gievson on the edge of the box and he showed good control to bring the ball down before smashing a fierce drive home through the crowded box to the left of McDonald. On 58 minutes another McDonald free kick from within his own half almost led to another Glebe goal as he launched the ball forward where Abiru’s back header found Powell on the right of the box and he hit a hooked volley that beat Snelgrove high to his right bit was cleared off the line by Domaradzki. Minutes later Max Leeves was knocked down in an off the ball incident falling to ground holding his head before passing out. Play was immediately stopped and an ambulance called shortly thereafter. Whilst waiting the prone player was swaddled in blankets and coats to keep him warm and Referee Dave Evans did a terrific job laying down next to Max talking to him whilst he was down trying to ensure that he did not lose consciousness again and inviting members of the player’s family onto the field to do so as well. The ambulance then arrived and checked over Max before moving him into the ambulance which drove off the pitch but parked up alongside so they could monitor his progress. After a delay of some 30 minutes play resumed. 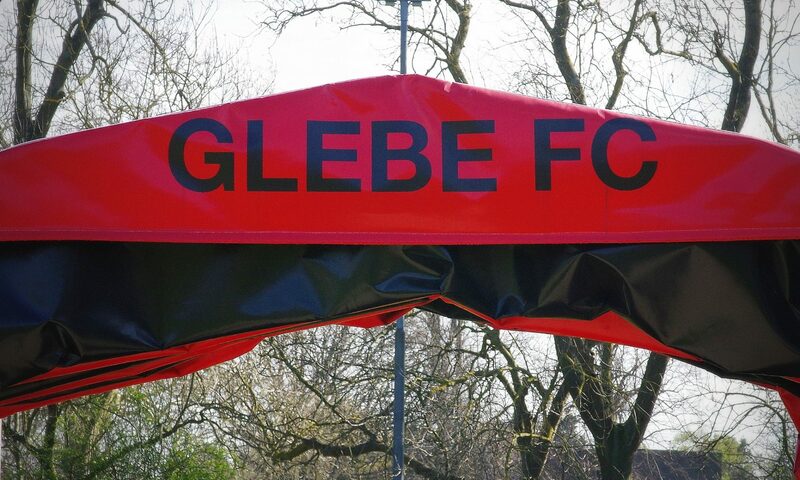 Glebe then went close to restoring their lead on 65 minutes when Abiru’s free kick from the edge of the box was well saved by Snelgrove diving low to his left with Whitmore firing the rebound into the side netting from an acute angle. Minutes later Crockenhill went close to scoring when Westgarth’s deep cross from the right found Pennington on the left of the area and his cushioned volley beat McDonald high to his left but crashed against the bar before rebounding out to Brett whose follow up shot from a tight angle flew into the side netting. Glebe were then awarded a penalty when Nathan Agyapong was pushed over in the box by Tom Clerkin. Powell took the spot kick firing it home high to the right of Snelgrove. Crockenhill then went close to levelling again on 76 minutes when a long ball forward saw McDonald race out of his box to head clear under pressure from Pennington, his header sending the ball to Brett whose first time volley from some 30 yards flew just wide of the goal. Then into the final 10 minutes the visitors thought they had pulled level when Westgarth’s through ball found the forward run of Brett who raced into the box before neatly slotting home to the right of McDonald but he had started his run a fraction too early and was flagged offside. There were no further chances in this eventful contest with the victory keeping Glebe’s hopes of finishing second alive. 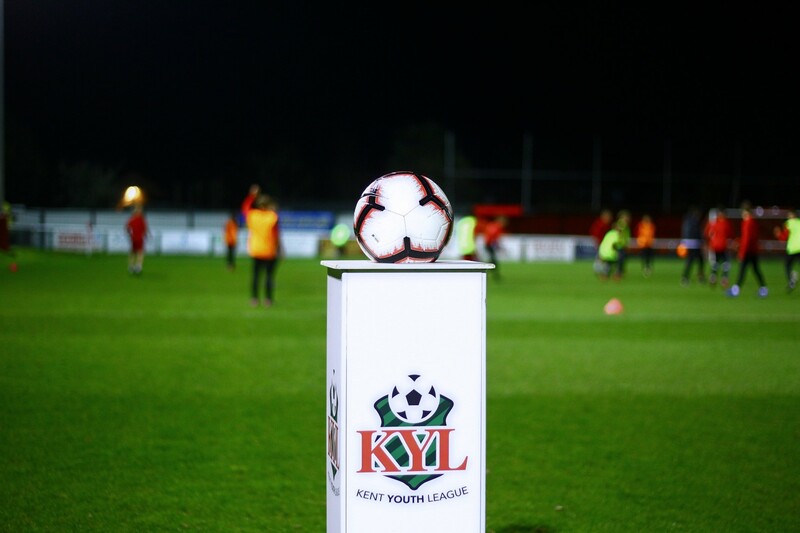 Corinthian FC are looking to add to their U15 KYL squad for the 2019/20 season. We will be holding trial games and training throughout April and May.